The holidays are over and the sales are in full swing. Your bank balance is looking pretty bleak. It’s an expensive time of year. You just need someone to lend you a helping hand to get you through the next few weeks or so. Step forward online loans! An online loan is designed for this situation. They’re meant to give your bank account an instant cash boost that’ll tide you over until your next payday. These loans are usually quick and easy to get. They can have drawbacks though if you don’t use them wisely. There is normally a requirement for them to be paid back within a month or so. If not, the interest rate will climb a lot. But, to give credit where credit’s due, they can be a great way to get through those few difficult weeks. So what will you need to apply online? Here’s the lowdown. Whoever lends you money is going to want to know that you have the means to pay it back. Some lenders may require more information about you than others so gather up your paperwork. This way you’ll have at hand all the details that they may need to check. You’ll need to be at least eighteen years old to apply for a loan. Lenders will then need to know your ID number and date of birth. They’ll also require some sort of proof of where you live, like a tenancy agreement or utility bill for example. Details of your income and proof of employment may also be necessary. You should also be able to provide details of your monthly outgoings and any other financial obligations you already have. It’d be sensible to check your credit score and history before you apply. Bear in mind that multiple rejections for credit may have a negative impact on your credit score. Just because you have a poorer credit score doesn’t mean you won’t be able to get a loan. It may though mean that you have to pay a higher rate of interest when paying it back. It’s vital to fully understand any fees you’re going to be charged before you sign up for a loan. 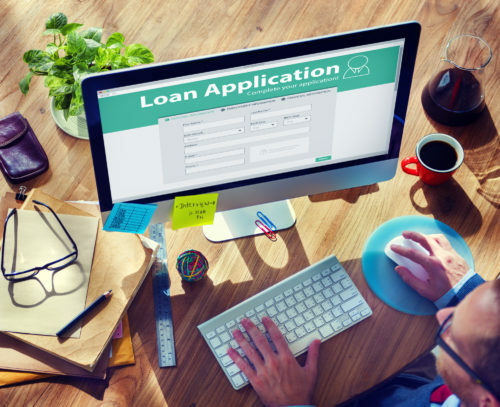 There are plenty of loans available to those who are self-employed. However, these loans may be different from those available to employees of a company, for example. As someone who is self-employed, you may need to provide more details of your income than an employee. This is so the lender can see how regular your income is and that you have the ability to pay the loan back. Once you have all your financial information to hand, you’re good to go. We can then connect you with a wide variety of lenders so that you get the loan that’s right for you. It’s safe and easy to apply for online loans. What are you waiting for? Get the money you need and paid into your account today.